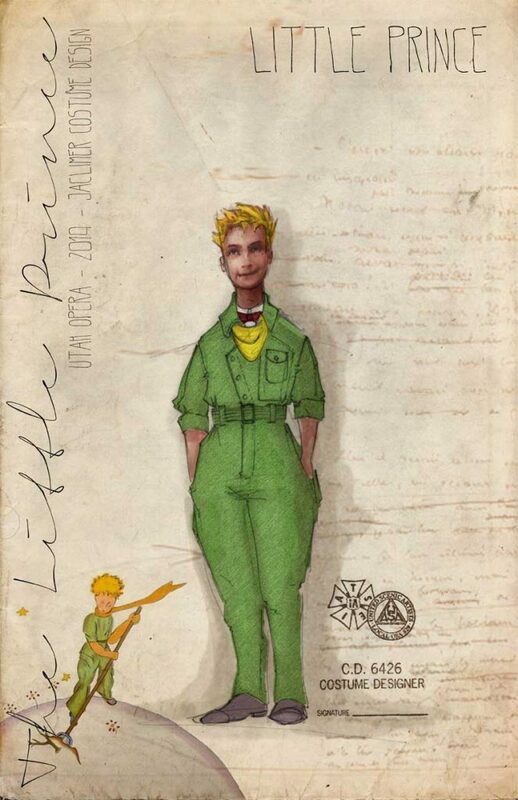 In The Little Prince by Antoine de Saint-Exupéry, the course of one stranded pilot’s life is forever changed by a young prince that has fallen to Earth from a tiny asteroid. 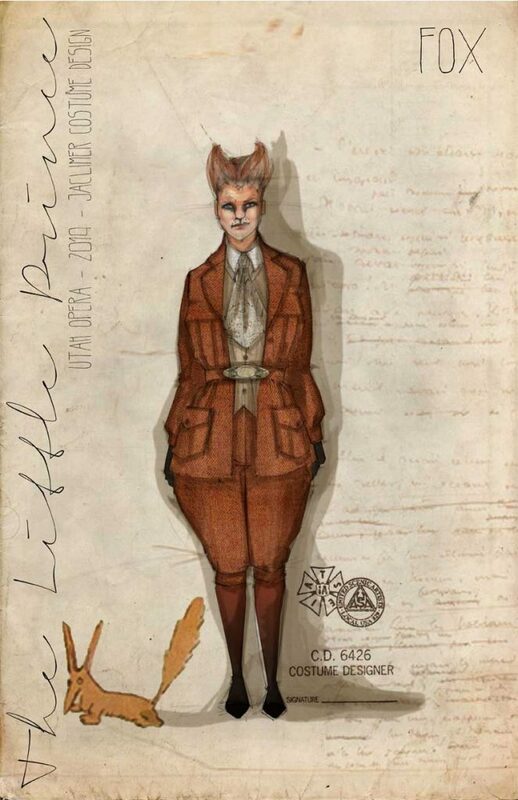 Featuring the music of Academy Award-winning composer Rachel Portman and poetry of librettist Nicholas Wright, a new production of The Little Prince will light up the Utah Opera stage in January 2019. 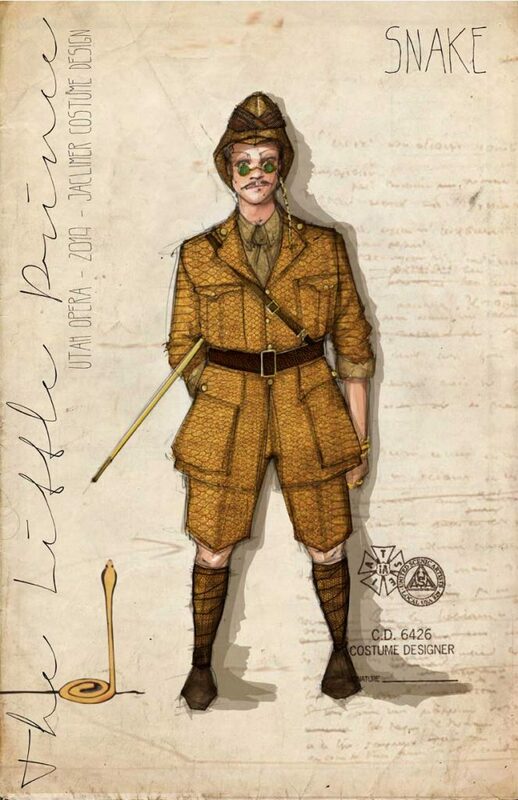 Just as the Little Prince left his mark on the world, you can be a part of this production’s legacy in Utah and beyond with The Little Prince Costume Campaign. Have your name sewn into the costume of our hero! The Little Prince is one of literature’s most beloved characters and you can help us make sure he lives up to his reputation. 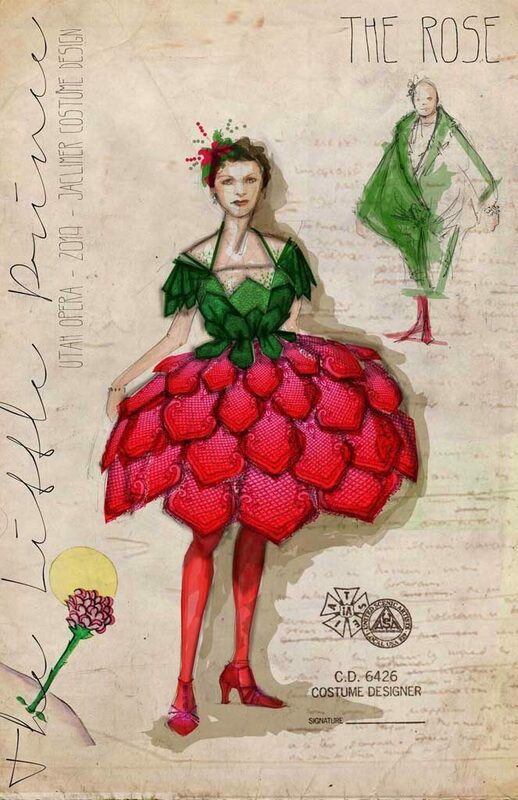 This gorgeous costume literally blooms from a green robe into a crimson petal skirt and is one of our most complex pieces. The Rose is a key character in the journey of love and understanding for the Little Prince. Help us make her bloom! 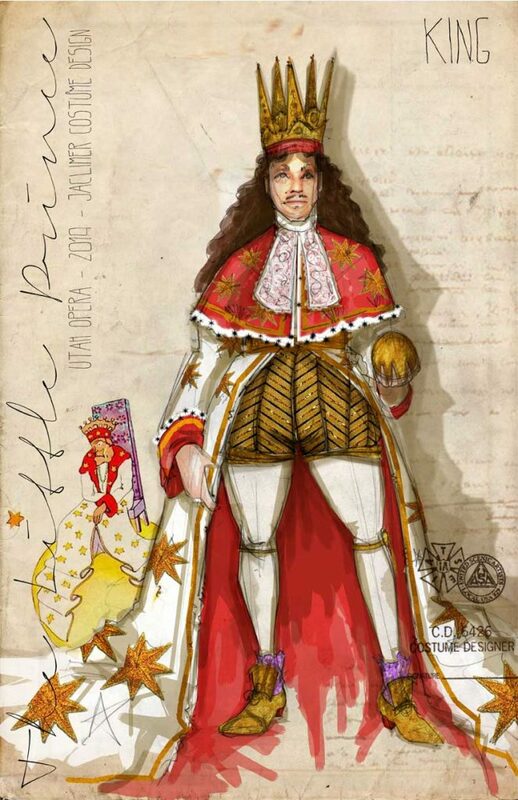 Ornate and lavish, the costume for The King is a masterpiece. From his majestic crown to awe-inspiring cape, this monarch cannot rule without the proper garb! 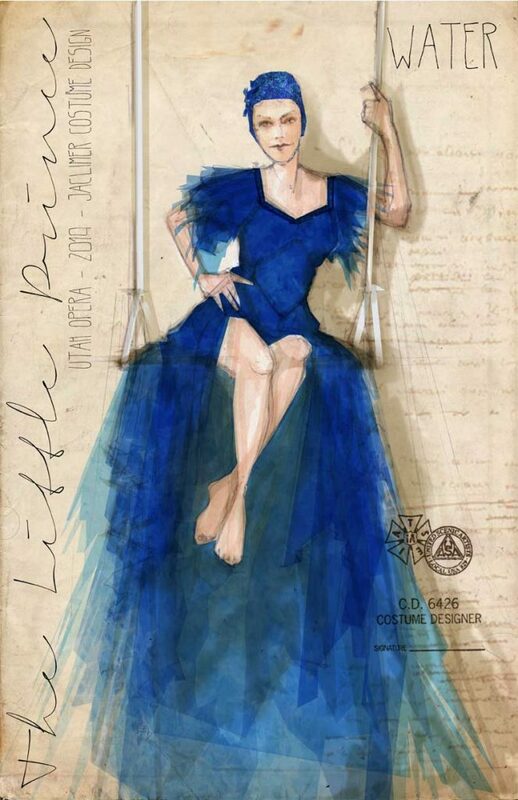 This rich blue costume includes a 15-foot train that unfurls as Water rises from the stage high into the air on her swing. Put your name on one of the most breath-taking entrances in the show! One of the key characters in this tale, the Fox teaches the Little Prince the vital lesson that important things can only be seen with the heart, not the eyes. Her costume includes an intricate wig with perfectly coiffed ears and padded pants. This exquisite suit is one of our most posh, with luxurious faux snake skin print and dazzling material. Don’t let this sneaky character leave you feeling uneasy—what is a journey tale without an antagonist? And this is one good-looking antagonist! 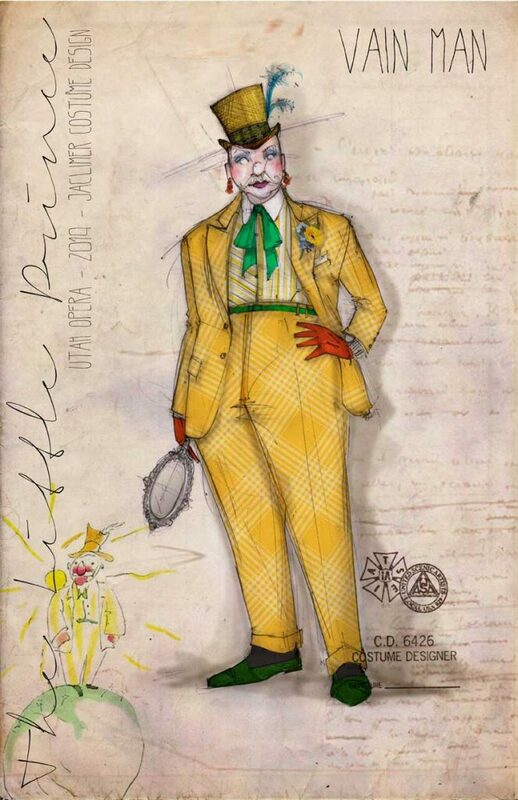 All the Vain Man wants is praise, and he will surely get it with your help to make his suit one-of-a-kind! In an explosion of color, this custom suit features splashes of red, green, and yellow to dazzle the eye and light up the stage. The narrator of the story, the Pilot leads the audience through this tender tale as we all learn the Little Prince’s profound life lessons. 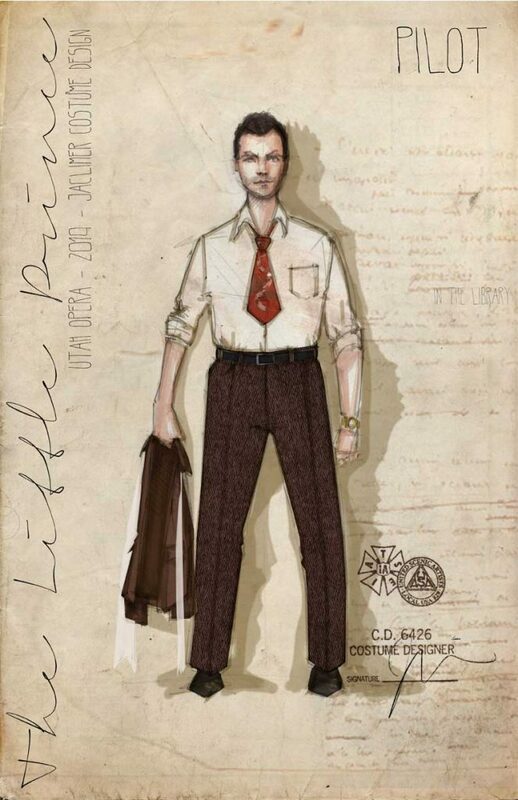 His custom suit helps our leading man look polished and ready for any adventure that may come his way. Sponsorship is no longer available. For more information on how to leave your legacy on this glorious production, please contact Olivia Custodio at ocustodio@usuo.org or (801) 869-9028.